Seems like there’s room for only one Marie after all. The one we already have is extremely territorial. How does her Gaia grow? Are you saying that Marie-Lune sounds a lot like a female Gambit? What’s a female Gambit? I only know that word from chess and politics and it means something like “risky move”. 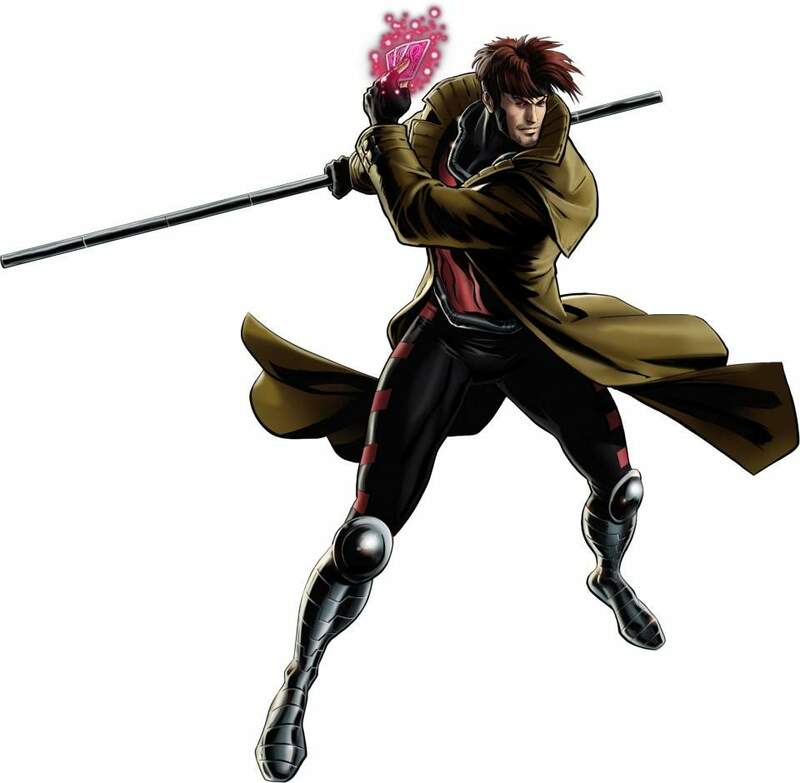 I was referring to Gambit, the Cajun mutant from the X-men. Sacré bleu, I gotta see this! Aside from the fact no real-life french speaker says “sacrebleu” ever, it’s indeed written “sacrebleu” and not “sacré bleu”. No accent. One word. The accent changes the entire pronounciation. Arguing about the spelling of an expletive that hasn’t been used since the 18th century… Egad! This is even more unnerving considering Gisèle Lagacé is french speaking and shouldn’t do that. She’s just pandering to her English audiences. What a sellout. Although she’s not a Quebecer, she’s Acadian… So I guess I blame the Cajun for this “sacré bleu” crap. Is Gisèle even involved with Eerie Cuties anymore? Oh god, she’s French??? Wow, that was a horrible spelling mistake indeed. I looked at her website and eerie cuties is listed as one of the comics she either worked on or collaborated with someone. Maybe she was one of the artists and wasn’t involved from the start? Somehow I can’t imagine a middle-aged woman to have this kind of humor. I think it’s funny if someone uses old expressions, no matter the language, because old language is much more innocent than ours. Though I wouldn’t be able to identify them as such unless they were English or German. One exception is the Japanese ending “degozaru”, because Kenshin uses it literally all the time. I will stop giving your characters sacrebleu-related lines now. :-) I think Marie-Neige would just stop yelling and start laughing at Marie-Lune if she did that. And middle-aged? But. She’s only 6 years older than me. I’m middle-aged too. I know. Okay, now that I actually looked up middle-aged-ness, it seems to start at about 50, give or take a few years. Since she’s born on 16.06.1970 she’s 47, which is barely close enough (but don’t tell her that^^), but if you’re 6 years younger, you’re not quite middle-aged yet. Maybe Gaia can regenerate into two girls after you split her? This way everybody will be happy. Just imagine if they can fuse back together… into a giant woman! Ladies. Ladies. Please. There’s enough Gaia for everyone. It would be a … demanding relationship. But Gaia has plenty of stamina. Clem is being kinda selfish. Mainly because there isn’t enough M-N to go around. You know, I think Gaia is even cuter with glasses! More pretty girls is always fine by me, nyao! Lovely ladies ALWAYS make me purr! Anyone else notice that Clem subtly confessed that she likes M-N? Yes but didn’t she already do that before? Possibly, but with only one page a week, I’ve sorta forgotten everything that’s happened before. Also, I don’t think she’s confessed her crush to Saki, yet. I would say that Gaia needs to give Saki back her glasses. But considering the whole mess that’s developing, I’m betting Saki is better off without them. Now that you mention it, I wouldn’t mind seeing that either!